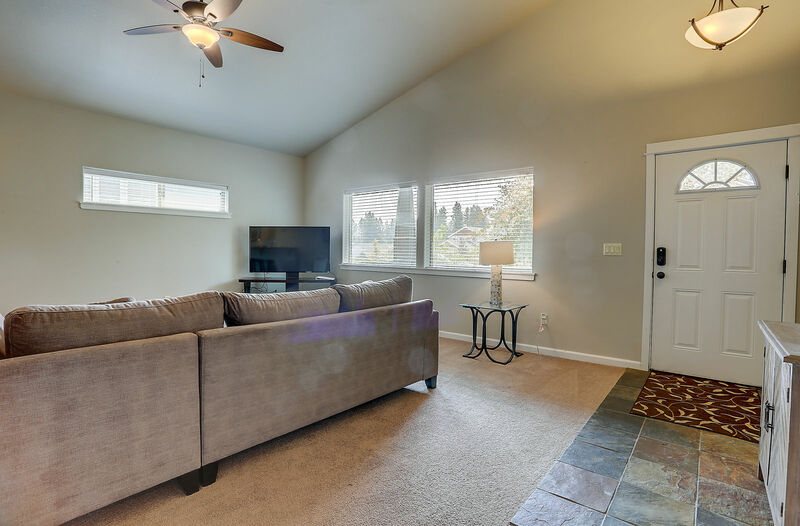 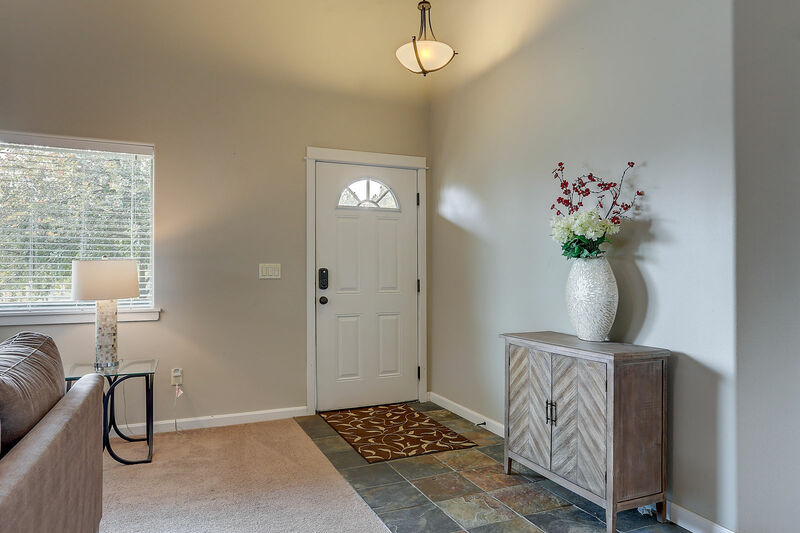 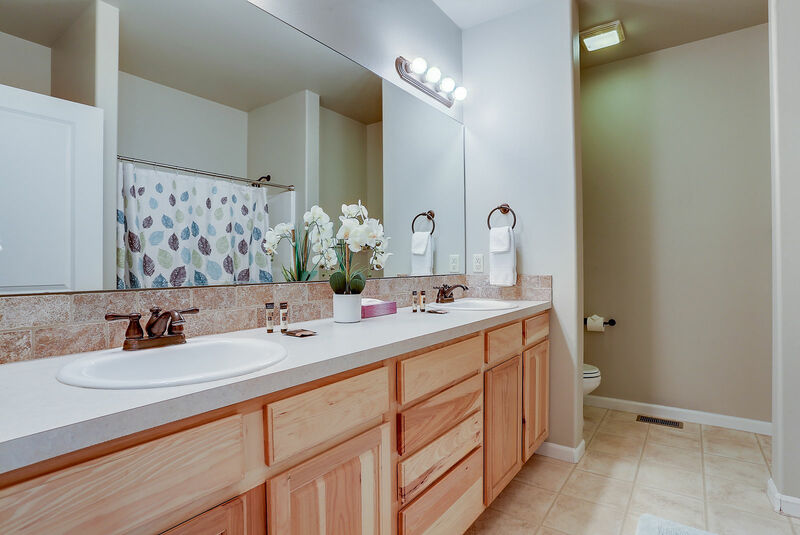 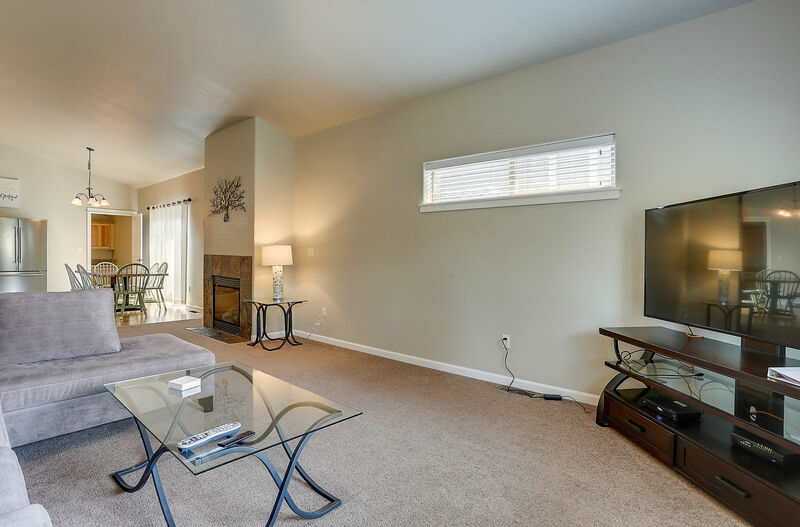 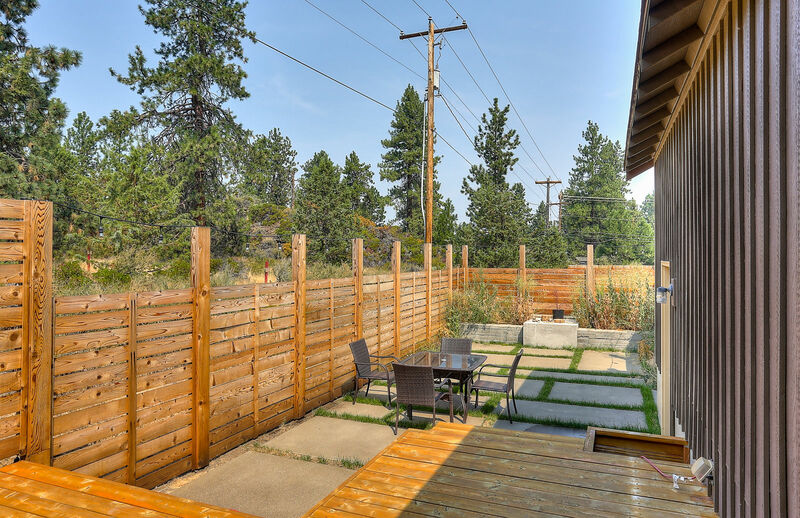 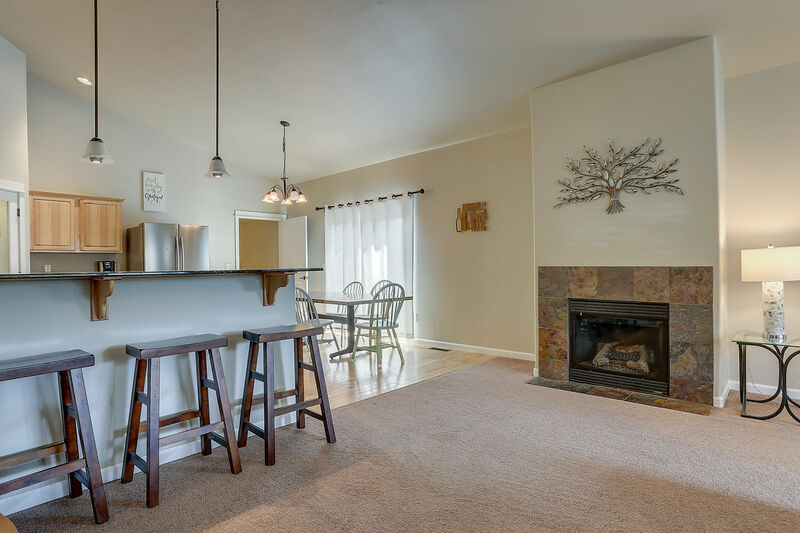 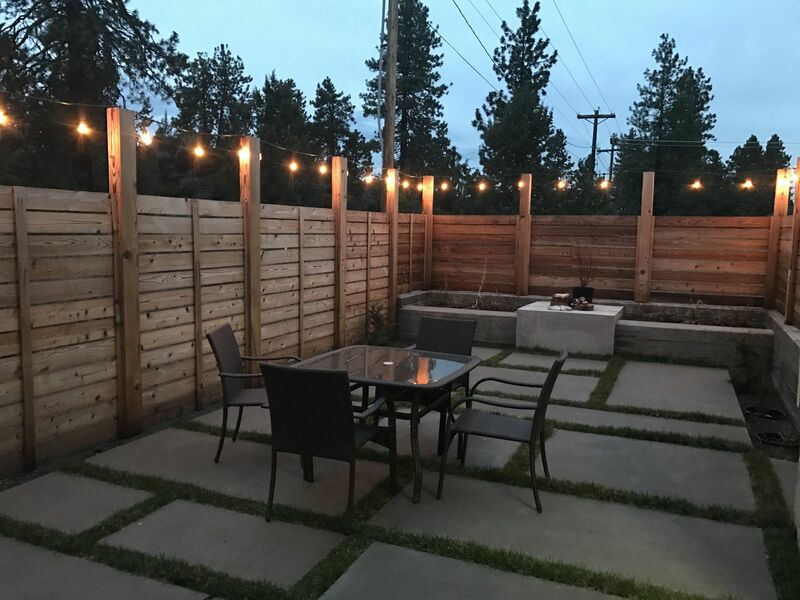 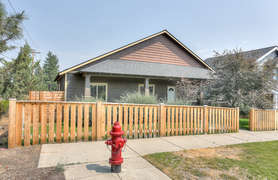 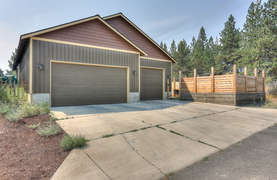 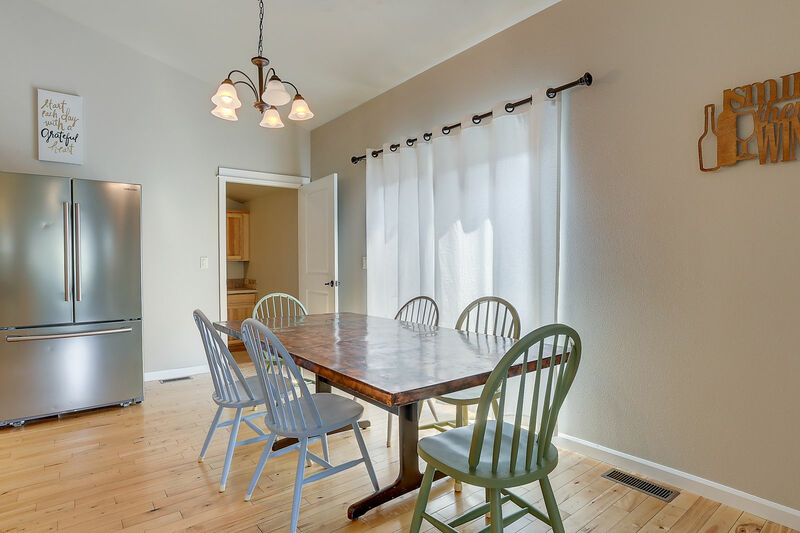 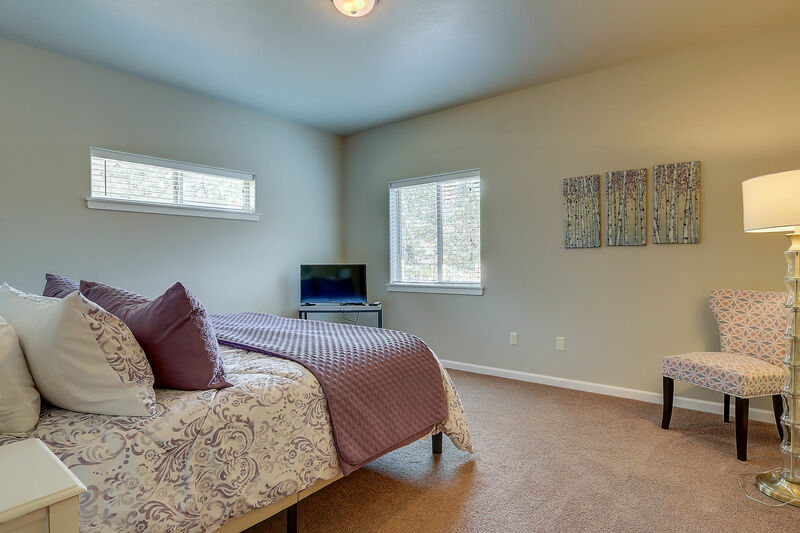 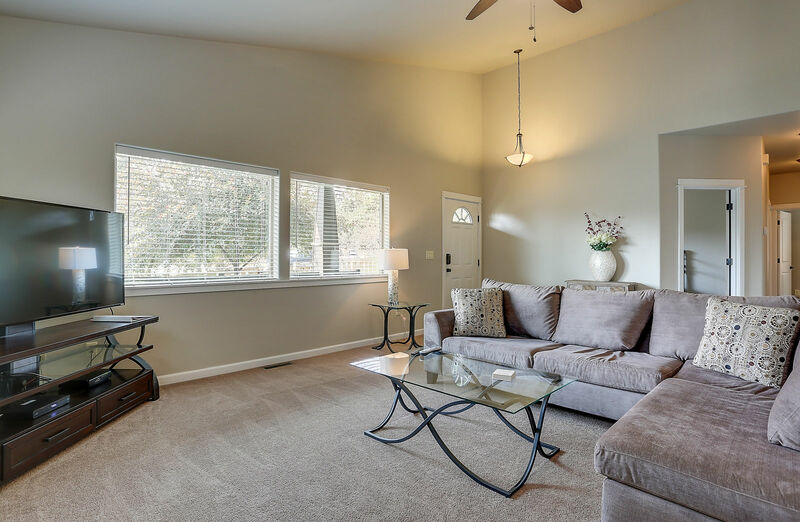 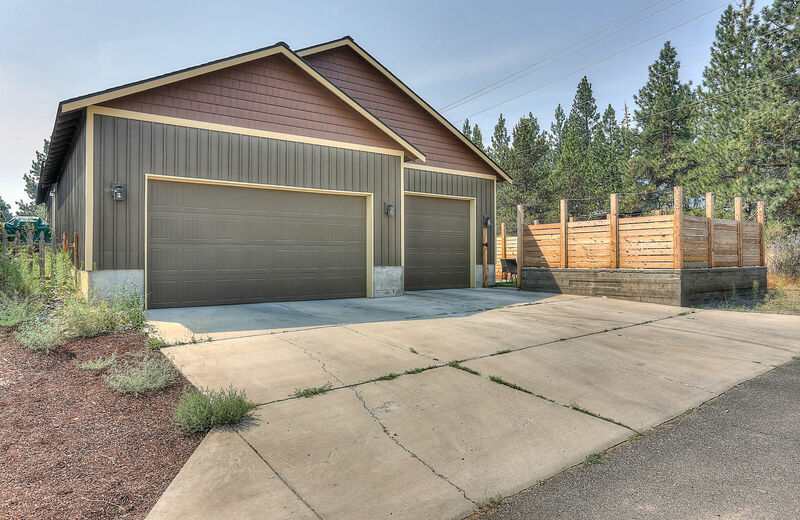 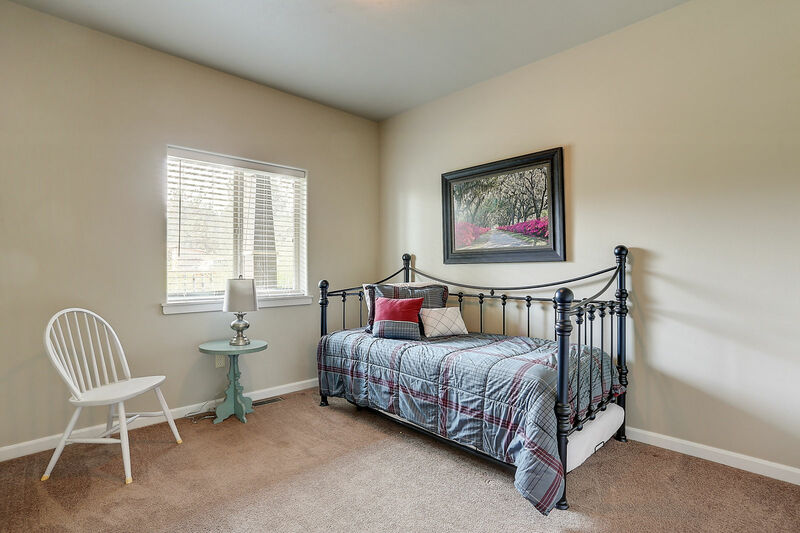 A Lovely home with plenty of room and storage in SW Bend, you will appreciate the private feeling of the neighborhood with the convenient location to shopping. 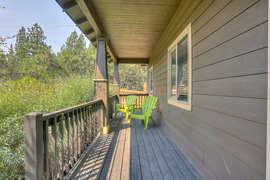 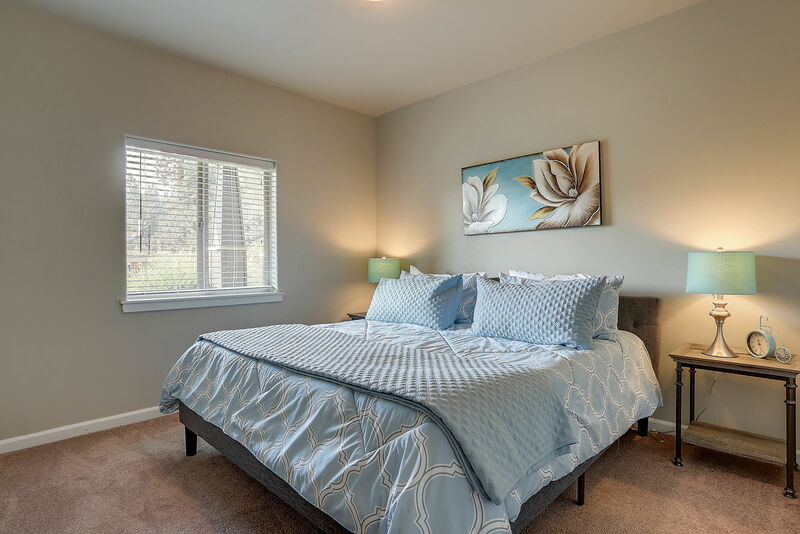 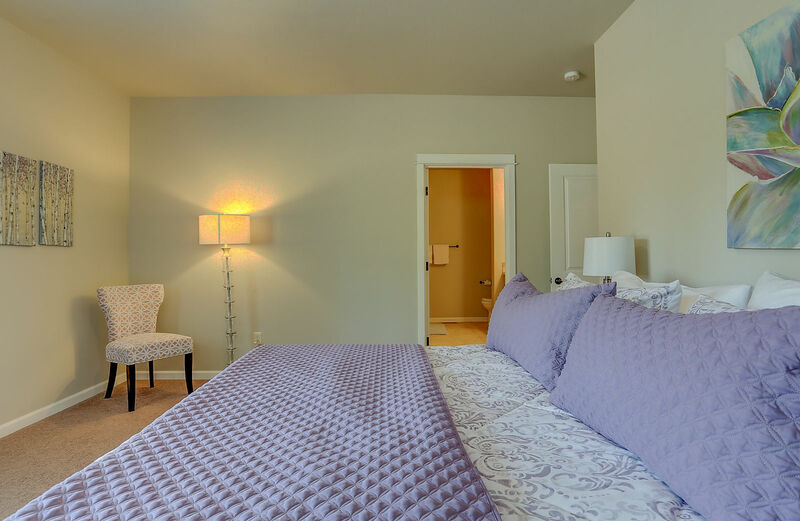 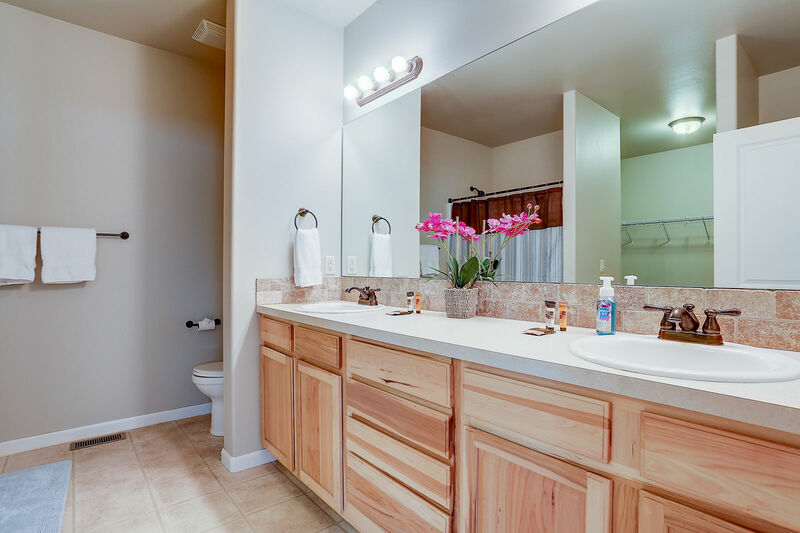 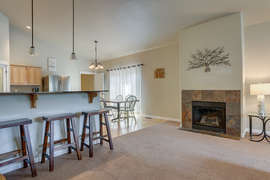 This lovely 4 bedroom 2 bathroom is fully furnished with all the amenities you will need for your stay. 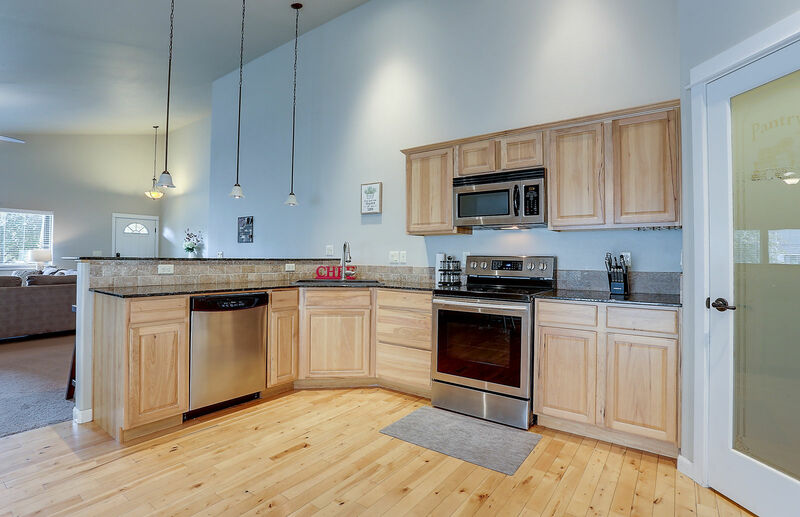 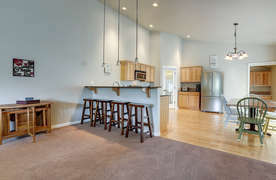 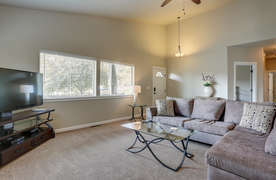 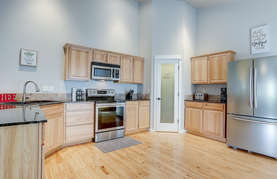 Open concept living with a very large kitchen/living and dining areas. 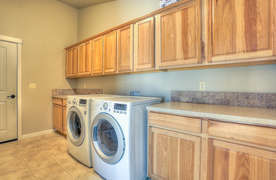 The laundry room is located just off the kitchen, storage is plentiful as well as counters to help with organizing, folding etc. 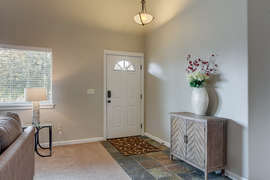 There is a door leading out to the large 3 + car garage which also takes you out to the enclosed patio area. 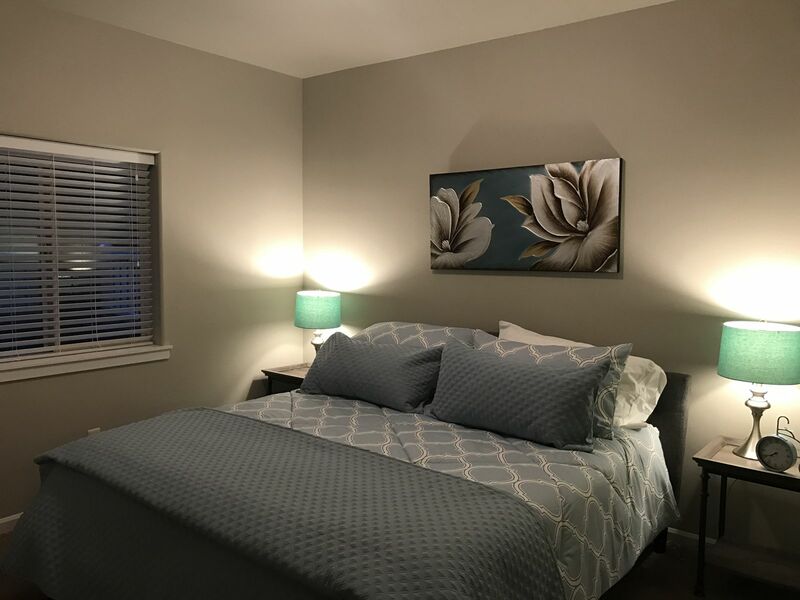 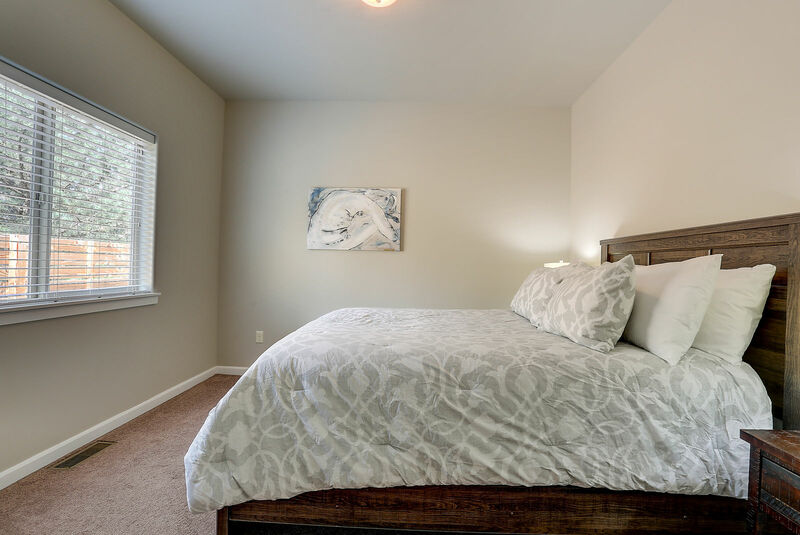 Bedrooms as follows: 1 King Bedroom, 1 Queen Bedroom, a King master which has a beautiful bathroom and a huge walk in closet, plus a bedroom with a Twin Day Bed & Trundle. 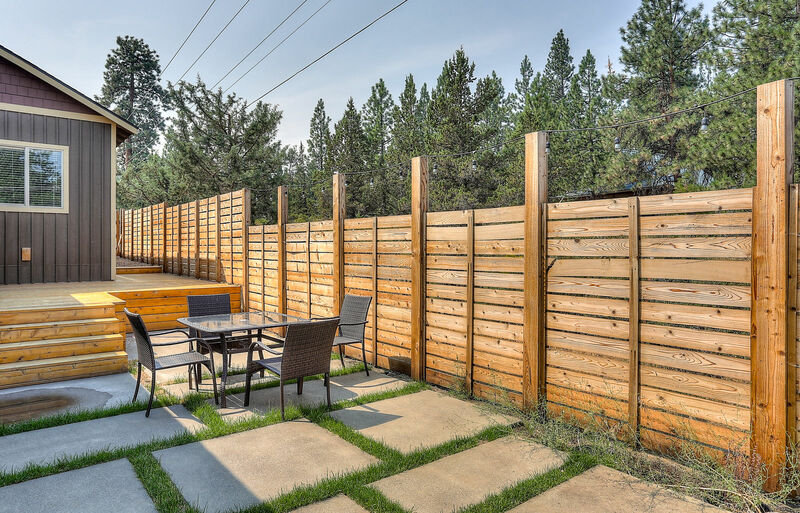 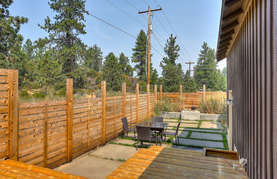 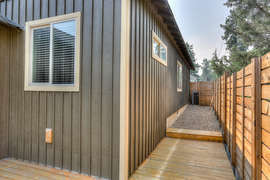 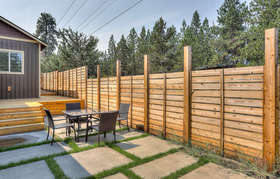 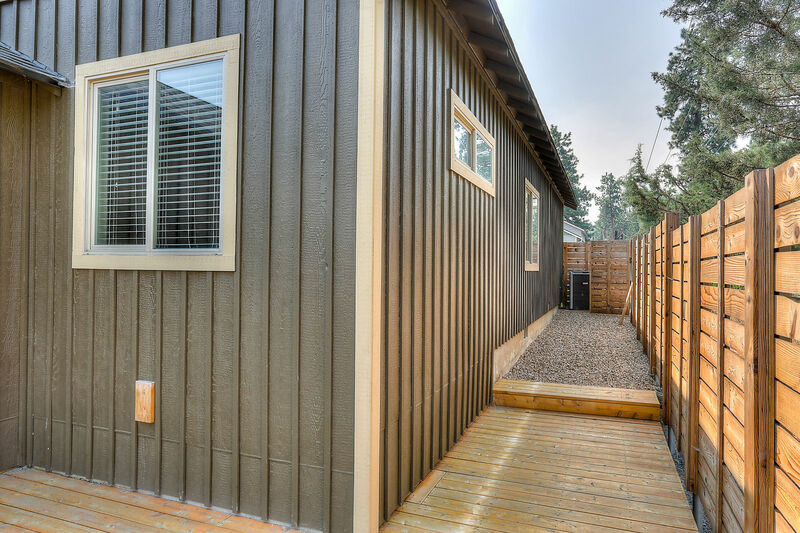 The home is fully fenced with a new BBQ and patio furniture on the back deck.